Optical components companies have finally emerged from the shadow of the dot-com crash, with the majority returning to profitability in 2016, according to market research firm LightCounting in its ‘State of the Optical Communications Industry’ report. In fact, the sales-weighted average profitability of publicly-traded optical component and module suppliers reached nine per cent in 2016, exceeded the average net profits of their main customers – communication service providers (CSPs) and suppliers of networking equipment (see figure). The profit margins reported by internet content providers and semiconductor IC vendors remained higher. Many of the internet companies have become new customers of optical component and module vendors, which has contributed to their financial redemption, LightCounting says. The demand from the cloud companies has boosted demand for 100 Gigabit Ethernet optics to the point where it exceeded supply in 2016, LightCounting observed. This has limiting price reductions and competition, which in turn has helped the optics firms reach record profitability (see LightCounting: 100GbE optics sales exceeded $1B in 2016). Weaker demand for optics in China will lead to slower market growth in 2017; however, demand for optics from the cloud companies remains very strong and this will help to keep optical suppliers’ profits well above break-even in 2017. Demand from China should pick up again in 2018, the company claims (see Optics will grow in 2017 despite China slowdown, says LightCounting). In of dollar terms, the combined net income of the publicly traded optical component and module vendors tracked by LightCounting went from a $22 million loss in 2014 and $72 million gain in 2015, to positive $422 million in 2016, led by big increases at Acacia, Finisar, Lumentum, and Oclaro. Of the 10 companies operating independently in 2016, nine reported positive net income for the calendar year, and the last, NeoPhotonics, was essentially at breakeven. Applied Optoelectronics and Innolight reported solid profits while doing most of their business with the cloud companies. In contrast to the components and module vendors, the profitability of the network equipment vendors fell by 26 per cent in 2016 compared to 2015. LightCounting cited reduced mobile network spending due to the completion of major LTE deployments in China and North America as the main reason for the absence of revenue growth. The largest changes in net income for individual companies were reported by Nokia ($2.4 billion change) and Ericsson ($1.4 billion change), which are both heavily dependent on mobile radio access network equipment sales. Cisco and Brocade also reported big declines in net profits: $500 million and $232 million, respectively. Arista and Ciena both bucked the trend and reported higher net income in 2016. 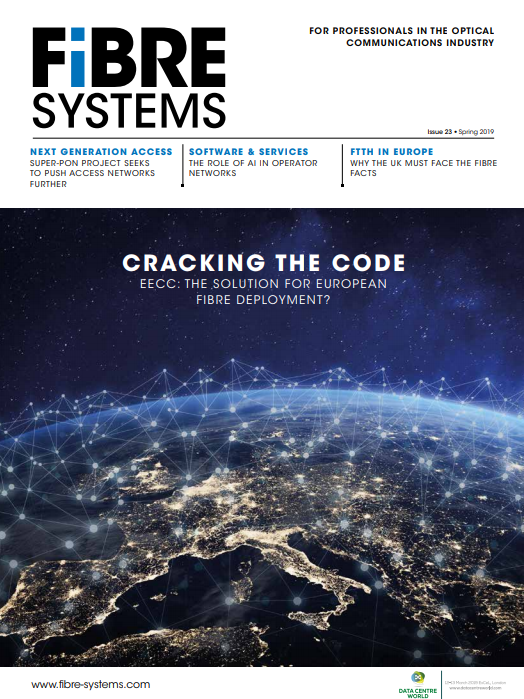 Just published, LightCounting’s ‘State of the Optical Communications Industry’ report provides a holistic analysis of the global communications industry, during a period of unprecedented growth in demand for broadband connectivity and the rise of cloud companies. It examines business strategies of traditional telecom service providers and cloud companies, as well as their suppliers of networking equipment, optical and electronic components. The detailed analysis of revenue growth and profitability across different levels of the industry supply chain over the past five years is used to identify challenges and opportunities for the future. The report also reviews the latest mergers and acquisitions and their impact on the market landscape. Finally, the report takes a deeper look at suppliers of optical components and modules, including 11 Chinese component vendors.